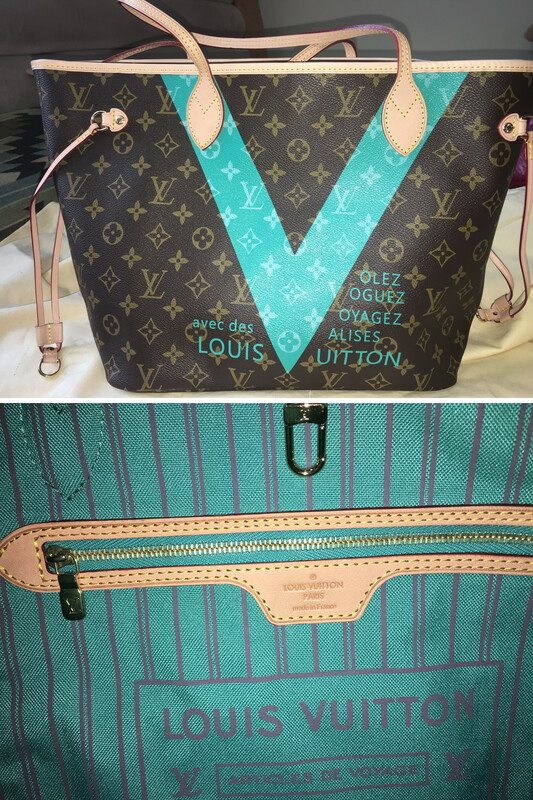 More convincing replicas are called super fakes in the authentication world. 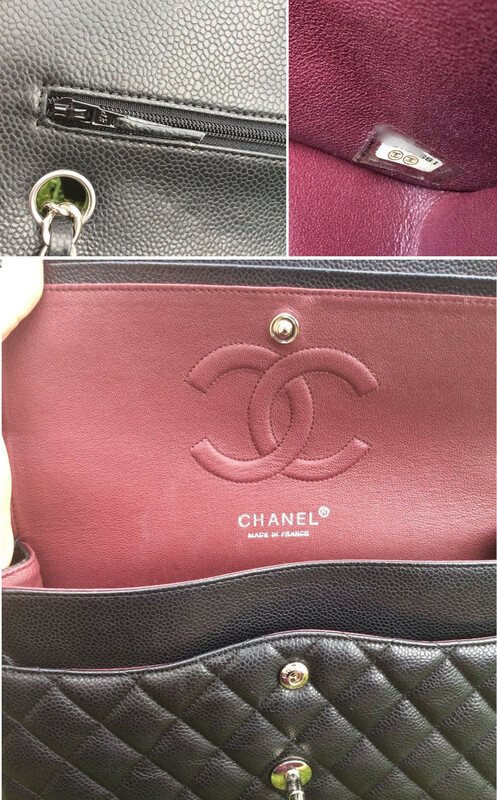 These horrible counterfeit bags often trick those who are not authenticators specializing in the brand. Here is a medium Chanel black caviar double flap bag superfake, Louis Vuitton V Neverfull MM bag superfake, and a Prada saffiano double zip tote superfake. People are always curious about superfakes, because they are difficult to spot for most people. Thankfully, our authentication software makes noticing superfakes easy. Whether it be the logos, manufacture info, hardware details, material details, etc, the following bags all have at LEAST a couple things wrong with them. If you're one of those people looking to buy a super fake, please don't. Why would you get an inferior wannabee item? Aside from that, there are many reasons not to. First, the cost of superfakes are NOT necessarily cheaper than getting a pre-owned authentic version! Yes! That's right! Super fakes, even though they are fake, are usually expensive. Most superfakes are sold as resale items posing as the authentic version, because these scammers know that a lot of people can be duped. Why sell a fake for less than what they can get it for? But, even when they come directly from the counterfeit manufacturer, they're requesting at least hundreds of dollars for them. And, it's illegal to sell a counterfeit. Financially, it makes so much more sense to buy an authentic pre-owned bag. The authentic bag will last longer, age better, and you can wear it confidently knowing that it's the real thing! If you ever tire of it, put it back into the resale market. SO. MUCH. MORE. SENSE. There's also a lot of risk when trying to buy a superfake. 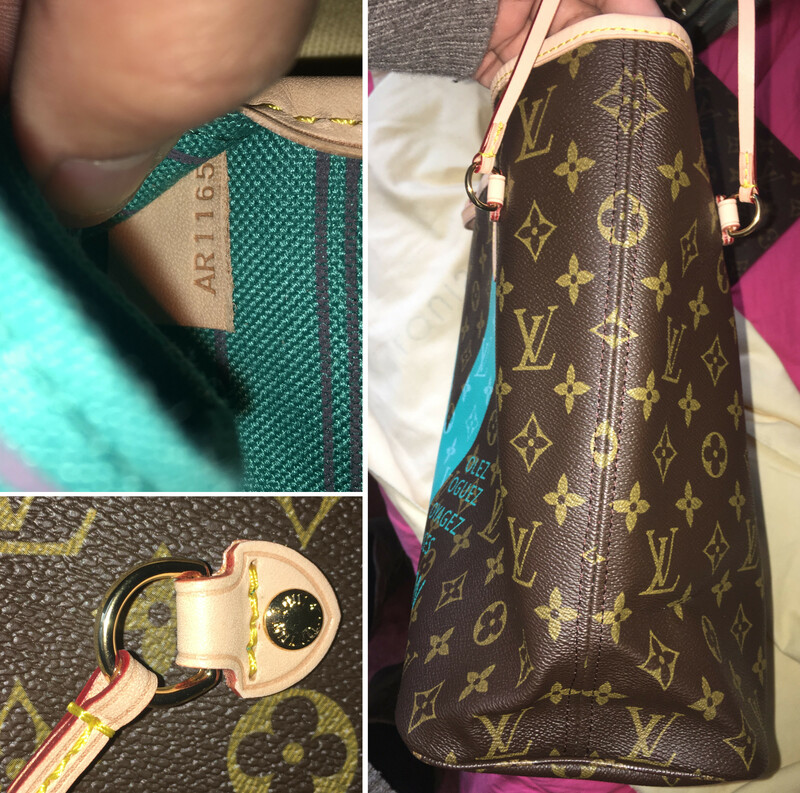 Most fakes on atrocious sites promising "AAA" or "1 to 1" quality replicas are closer to "D" quality. Don't trust counterfeitors; they're in the business of scamming! DUH! You'll end up spending your hard-earned money for an obviously fake item. Or even worse, you relinquish your money or financial information to someone who is willing to conduct illegal business. Notice how counterfeit sites don't use PayPal and many prefer wire transfers? YIKES! And, if you're one of those people who loves AUTHENTIC designer items, you totally belong in Lollipuff's community. Authenticity is EVERYTHING here. And, resale is true and dear to our hearts, because the best prices for designer items are always in resale! If you haven't already, take a peek at Lollipuff's authentic listings here. For non-experts, identifying superfakes is super hard. Let us do the work for you. Check out Lollipuff's authentication service.